Ecliptic Technologies announces the release of the The Connector 2.0. The newest version will fully integrate with Microsoft Project 2010 as well as add a number of new features to the product. The new version will also offer compatibility with Microsoft Project 2003 and Microsoft Project 2007 as well as all versions of JIRA from 3.6 forward. 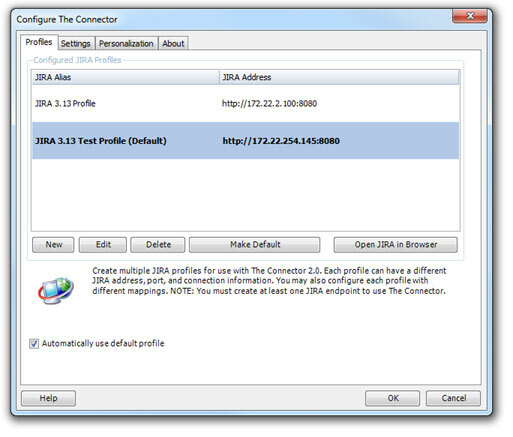 The Connector 2.0 with will integrate with the office ribbon for full plugin support offering continued ease of use and direct connectivity with Atlassian JIRA. Multiple JIRA profiles so you can set up different configurations and quickly switch between them. Better importing and exporting of configuration for sharing amoung groups of users. 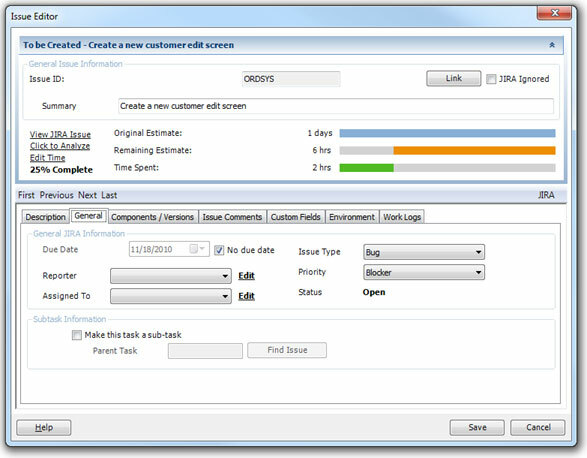 Automatically create parent tasks and subtasks in a single step. The Connector will automatically attach your subtasks based on your Microsoft Project indentation. Better validation of data. New checks to validate missing data and auto-resolve features allow you to easily find and correct errors before you publish the information to JIRA. Select issue types and custom fields based on a specific project. If you have specified different issue types and custom fields for each of your project, The Connector will now track that information and only allow you to choose what is valid for the current project you are working with. 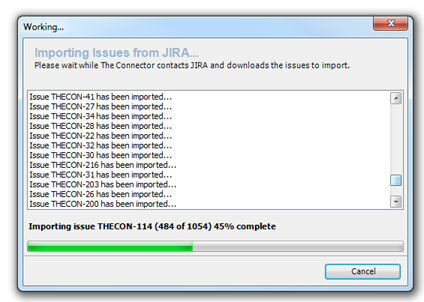 Resource loading and validation from JIRA. Scan an entire JIRA project and auto-build your resource sheet before doing any updates or imports. New “Find Issue” search feature. Provide an issue ID to The Connector and it will locate that issue in your large project plan quickly and easily. Compare with JIRA to see the differences between what is currently in JIRA and what is in Microsoft Project. 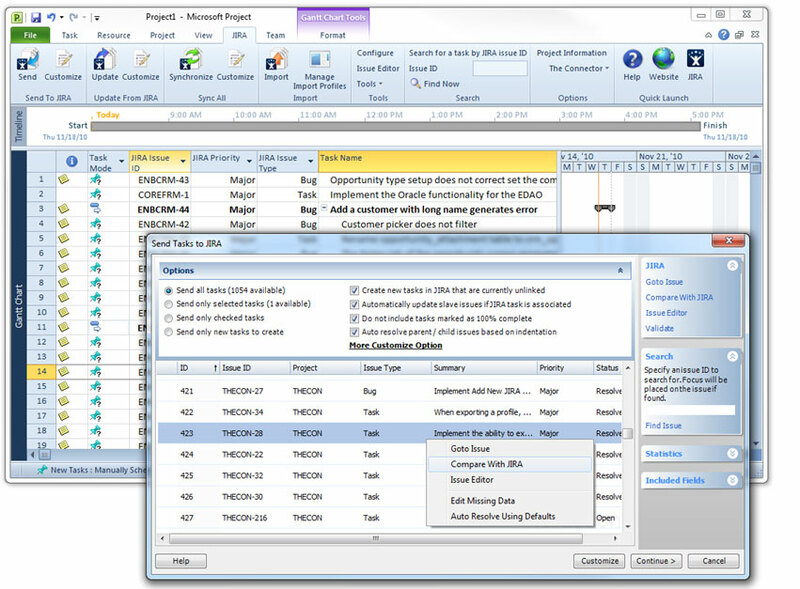 Access work logs and issue comments within Microsoft Project using the improved issue editor. A new integrated help system is included allow you to access context senstive help topics.